It's been a few weeks since I started training Brazilian Jiu-Jitsu here in Chiang Mai again and have really need enjoying it. Even though I've always prefered no-gi while traveling as it was easier, the guys that train over at Chiang Mai University almost all train in Gi's so I figured it was worth the investment. The problem is, where would you get one? Basically there are 3 options in Chiang Mai, I'll go over the pros and cons of each in this post. Look for it in stores. Unfortunately, even at the biggest sport stores in Chiang Mai, they only have Judo Gis which might be tempting as they are a lot cheaper and are still strong enough for BJJ, but don't get it. The reason why Judo Gi's aren't good for BJJ is because of their cut and collars. By having huge easy to grab sleeves and easy to grab collars, you'll make it too easy for your opponent to control you, as well as make it dangerous for your partner to get their fingers or toes caught in your gi. On Amazon most companies don't ship to Thailand, but if you look around enough, you'll find some that do such a Fuji. If you are willing to wait 2 weeks, and pay for the shipping + customs charges, you can get a Gi starting at $150. Where I ended up buying my Gi is Team Quest Thailand near the airport. They only had a few sizes left when I went, so I'd call them ahead of time to make sure they have yours but I was lucky that they had an A3 which is my size since I'm 5'10.5" and around 210-215lbs. The price was 3,200 baht which is $100US and very reasonable for a high quality Gi that reminded my purple belt friend of an unbranded Shoyoroll. I've been washing it in cold water and air drying it on my balcony and it has only shrunk by a tiny bit but fits me perfectly. I'm getting ready to head to another session today, but if you're in Chiang Mai or planning on coming, definitely get yourself a Gi so you can come roll. I'd bring your Gi with you as I talked about in my previous post as it's a lot easier to get one back home but either way see you on the mats at Team Quest or at CMU. 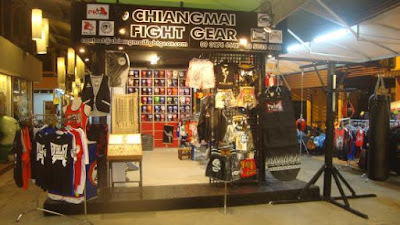 Someone mentioned that the Muay Thai and MMA gear shop in the Night Bazaar also sells Gi's and has name brands such sas Grips. 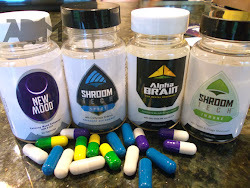 Unfortunately their website doesn't work but it might be worth checking out. Hey man, love the blog. I've been thinking about where I'm going to go when I come to Thailand and these recent posts about the jiu jitsu scene have sold me on Chiang Mai, thanks for that. I was wondering however, to stay and train in that specific area for a few months, would the 2000 dollars or so I'll have after paying for plane tickets and other travel things be enough to stick around for a while? Keeping in mind I'm a pretty frugal dude, and am scared of nightlife in general. 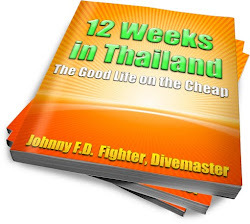 Hey Drew, I wrote about budgeting in detail in my book 12 Weeks in Thailand (www.12WeeksinThailand.com) so definitely read that before you come as it'll save you a lot of money, but in general you can live and train here for less than $1,000 a month easily! Aw yeah? What's that? Is it on their website?